I think Glasgow is a pretty cool city. It doesn’t have the pretensions of Edinburgh, isn’t encumbered with an overblown sense of itself and it is comfortable in its own skin. Glaswegians are warm and friendly too – even if the accent gets the better of me from time to time – and are clearly proud of their city. Long ago it had a bad reputation as a violent and forbidding place and I’m sure like every city in the UK, it still has some places like that, in the main it’s a safe, vibrant, modern European city. We have an office in the city and I’m lucky enough to travel there often and this week I spent two days in the city which meant a night on the town was in order. It’s great knowing people who are locals as they pre qualify every night out to make sure that we only go to the best / coolest / most interesting places – and this week was no exception. 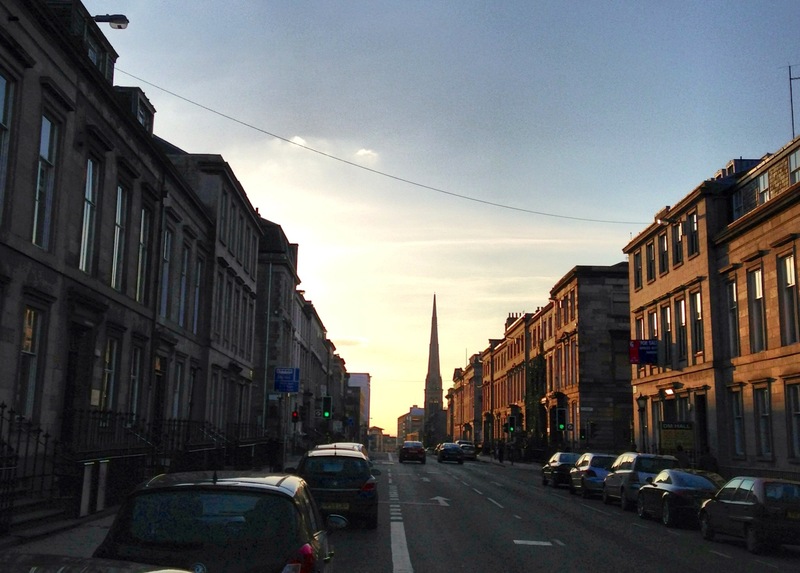 We headed out to the West End of Glasgow, about 15 mins cab ride from the downtown area, and a real upcoming, happening part of the city. 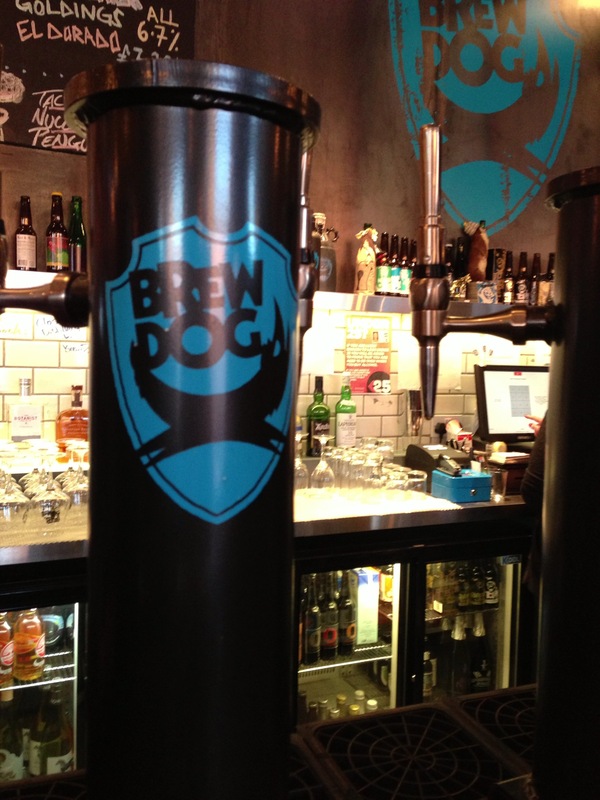 Testament to this fact was our first port of call: Brewdog – the coolest chain of bars in the UK, serving an amazing array of craft beers from all over the world. Of course, we now have a Brewdog in Leeds and after visiting the Glasgow branch, a visit to the Leeds outpost will be in order. I had a pint of Punk IPA, one of their own brews and a properly unusual and striking pale ale it was. 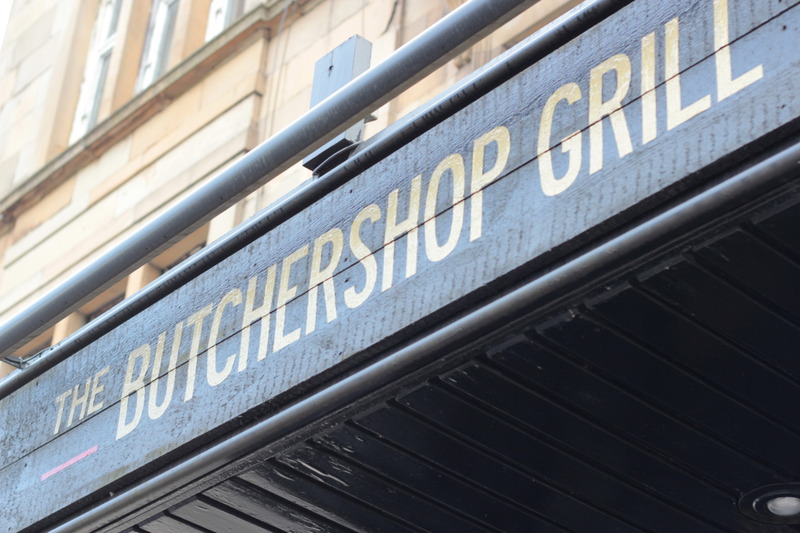 We were eating just around the corner at one of Glasgow’s more interesting restaurants The Butchershop. 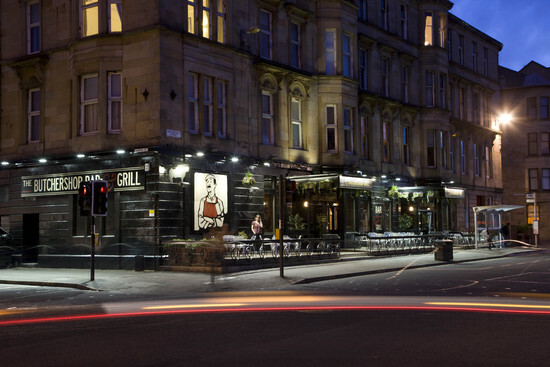 It’s style is ‘Manhattan neighbourhood steakhouse’ and it does look the part as Glasgow definitely reminds me of US cities in parts. 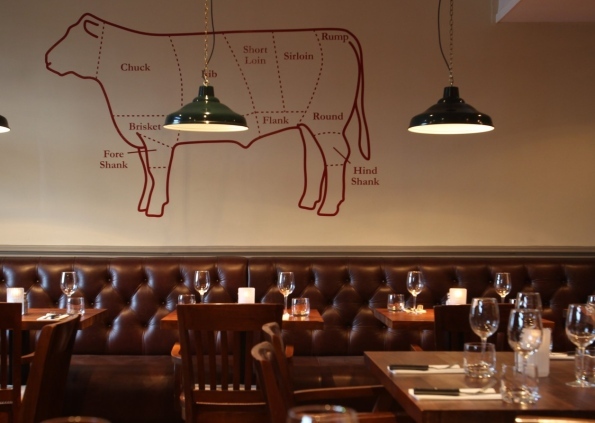 As the name implies this is a real meat eater’s dream gaff with a simple but beautifully curated menu featuring a choice of prime cuts and accompaniments. 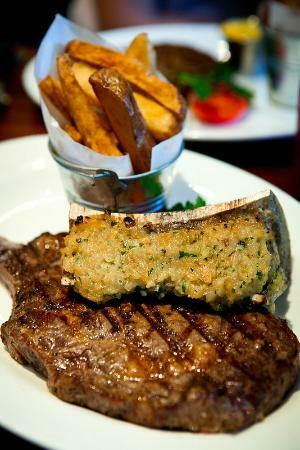 It’s all about the meat here and as you’d expect these days the provenance of the animals it came from was impeccable. It was a blokey dinner so it was steaks all round and I opted for Loch Fyne oysters to get things rolling. It’s worth mentioning also the Earl Grey Old fashioned cocktail I ordered was sublime – there is clearly some class mixology going on behind the bar. I plumped for a ribeye topped with bone marrow (oh my) and guys variously had Cote de Boef, Sirloin and rump. Thrice cooked chips were served in the obligatory miniature tin pail ( I would have sent them back if they hadn’t been) and there were some sides somewhere but to be honest it was the meat we were interested in. It was all superb and looking back on it, I can’t find a bad word to say about it. Prices were where you would expect although the signature cuts Cote de Boeuf and T Bone were slightly wallet challenging but we are talking about dry aged for 35 days here. The wine list was sensible and house Rioja we quaffed tasted like a much more expensive wine. Someone mentioned that the service seemed slow but as we were in a large group, it wasn’t really noticeable or indeed an issue. Afterwards we found a couple of cracking bars – The Ben Nevis which had a jaw dropping array of whiskies and live traditional music and a uber cool bar The Kelvin Hall Cafe. All in all a great evening, next time you’re in Glasgow it’s well worth a trip out to the West End and in particular The Butchershop. Vegetarian options are available. 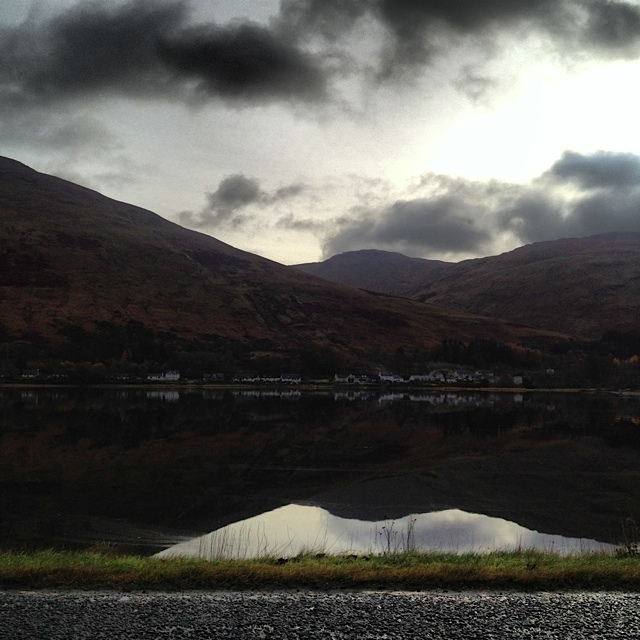 Last weekend we spent a really enjoyable two days North of the border in Scotland with fellow Globetroffers T&K. From Yorkshire it’s a good three hours to Glasgow, then we travelled a further two and a half hours to Argyllshire on the western side of the highlands – so it’s no quick jaunt but the scenery really is stunning up there and the lochs and mountains are a wonderful backdrop to any foodie adventure. As it turned out, the hotel Groupon deal we bought was a hit and miss affair, with the emphasis on miss – though I have to say we’ve not laughed this much in ages. We were on a trip down memory lane as it was a hotel we’d previously visited twenty-three years ago as callow twenty somethings…would the hotel have changed and would we notice the difference? 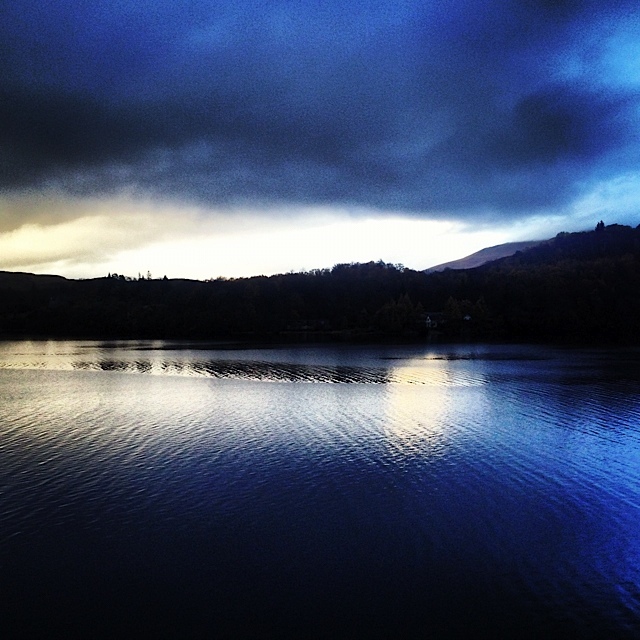 But this post isn’t about the hapless Fawlty Towers style service we endured and the random nature of the hotel food, but the sublime lunch we had at the original Loch Fyne Oyster Bar and restaurant, which is conveniently situated right on the banks of the loch. We decided to dine out on saturday lunch at the first and best version of the Loch Fyne chain – streets ahead of its chain brothers and sisters by the way – as our dinner the previous night had been deeply traumatic! Anyway, the Oyster Bar is actually a very large wood built restaurant with a lot of covers and masses of spankingly fresh fish. We were in heaven. 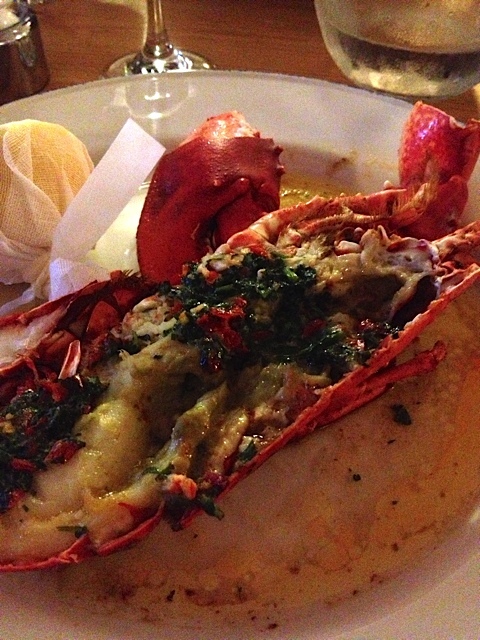 This is a proper foodie destination with quality shellfish, fish and other delicious highland fare. 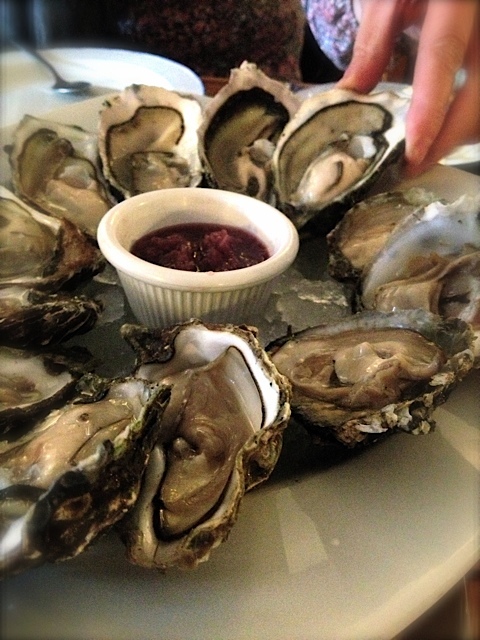 J and I opted for a dozen mixed oysters which included Fyne natives – all remarkable. T&K had the soup from the specials board which far from being dull delivered rich comfort. Mains for us were lobster for me with chilli, garlic and coriander (had to be done) and mussels for J (ditto) with sea bream and salmon fulfilling their destiny for T&K. 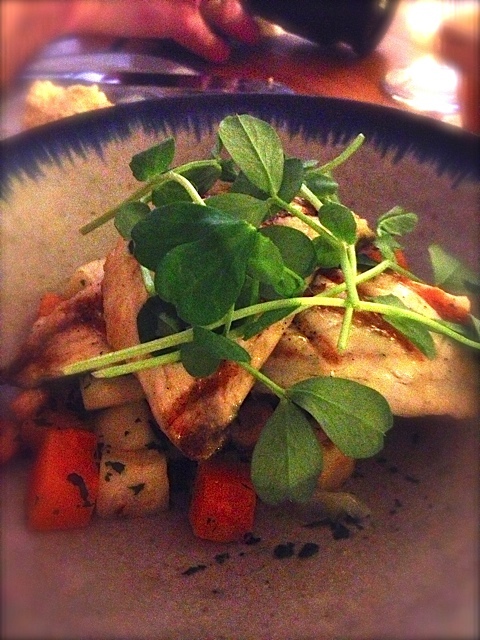 It was all beautifully on point and the service was impeccable too. It might be in the middle of nowhere but it’s very much a destination. We washed all this down with a couple of bottles of house (French) chardonnay, light and unoaked and although everyone complained they were stuffed, my lunch was so light I could have scoffed a pud but decided it would look greedy. This was seafood of the highest order, right up there with Hix or Stein in Cornwall, and proof that when your ingredients are as good as this, just keep it simple and you will delight the crowd. And we were delighted. Heading back to the Flowery Twats hotel, we were ready to face the vagaries of the evening meal safe in the knowledge we’d had a marvellous lunch. Well worth the detour if you’re in the (rather large but very dramatic) neighbourhood.